The first Grappler’s Heart Tournament in April 2015 was also Ian Matuszak’s first tournament ever. He was a white belt who had only been training in Brazilian Jiu-Jitsu a short time. He entered his first match ever having been lifted from his electric wheelchair and dragged onto the mat by his coaches. To look at him, you’d think he was the last person who should be fighting, but his team believed in him and Ian believed in himself. He may have lost every match that day, but it didn’t matter. The honour of Brazilian Jiu-Jitsu is competing at all and Ian did not disappoint. In every one of those fights, Ian showed the heart and determination that would no doubt take him to the top of the sport and help him earn his black belt. After Grappler’s Heart, he would go on to become an evangelist for the sport – bending the ear of Chris Weidman, Dana White Rorion Gracie and more. He became a symbol for what is possible in the world of BJJ for people of all abilities. He let these household names know people with disabilities had arrived in BJJ and we weren’t going away. 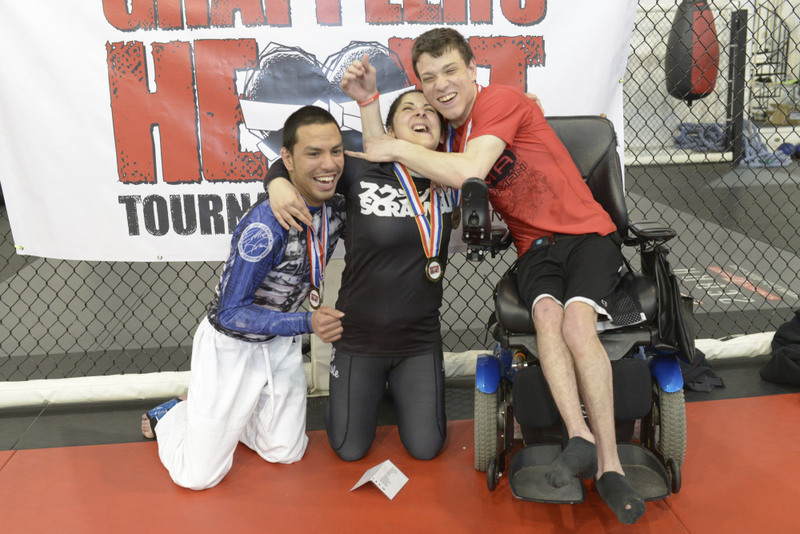 In doing so, he himself became a household name in BJJ’s adapted community. But Ian’s greatest fight was not on the mat. He valiantly fought cancer and though he lost that fight today, he never tapped. He showed the same perseverance and heart that we saw on the mats in April, while continuing to be an ambassador for the sport he loved. This is what Grappler’s Heart is all about: the heart of a champion and the will to be an exemplary ambassador while doing it – win or lose. We’re proud to announce that we’ll be looking for those same qualities at the next Grappler’s Heart and when we find them, that person will receive an award named in Ian’s honour in the hopes that they will help carry on Ian’s legacy and continue to embody the qualities he had as a person — the same qualities that define this tournament. From now on, when we say a Grappler’s Heart, we’ll always be thinking about Ian Matuszak. "I'm not done. No way. I refuse."